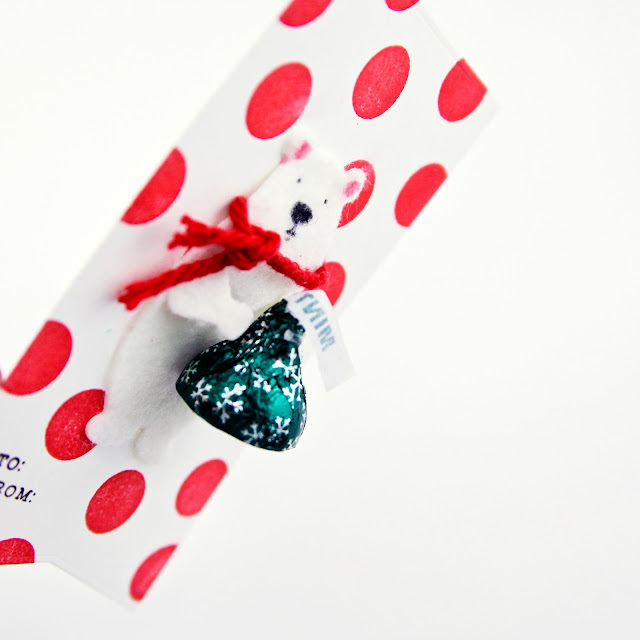 I'm feeling a little tag crazy right now, ever since creating my tag for the 12 Tags of Christmas with a Feminine Twist. The Essentials by Ellen All Inside bear is one of my all-time favorites so I felt like I had to include him in the holidays. 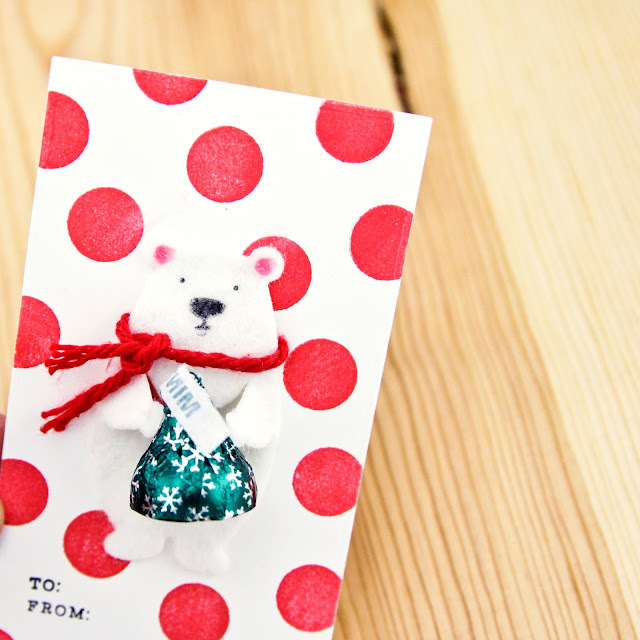 To create this little sweet tag, cut tag from polka dot paper or create your own. I used a small circle from the Bokeh Dot set and one of my favorite red inks, Avery Elle Strawberry. Die cut bear from white felt. 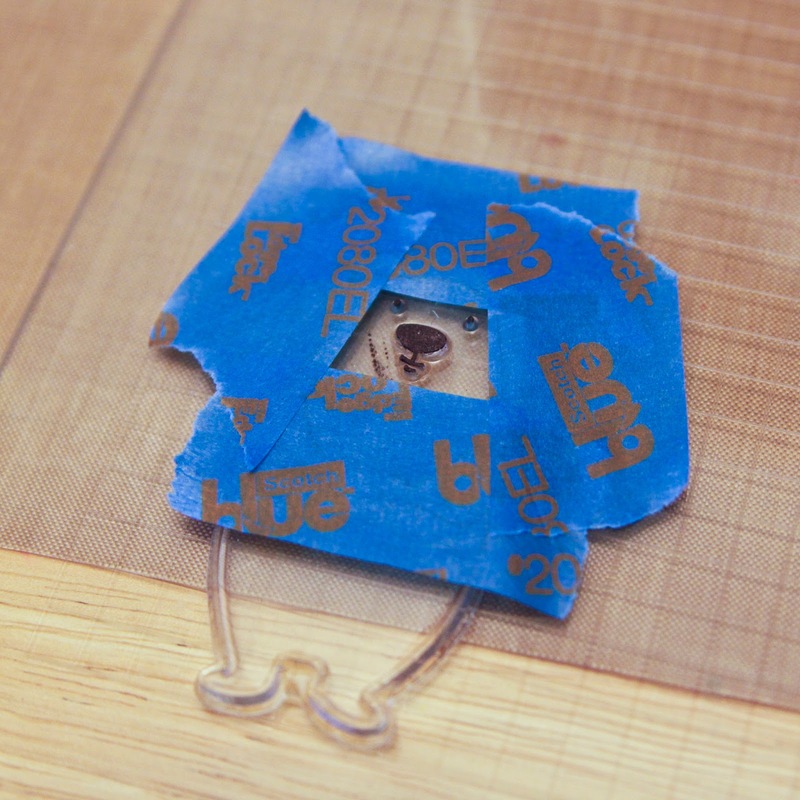 I like to use gesso to add stability (you can read more about that here). Stamp a face on the felt bear with a permanent ink. I like to use StazOn and a little masking cheat...I cover the bear with painter's tape to leave only his little face free. Then I ink the stamp, remove the tape and stamp onto the felt. The MISTI is especially helpful with this process. 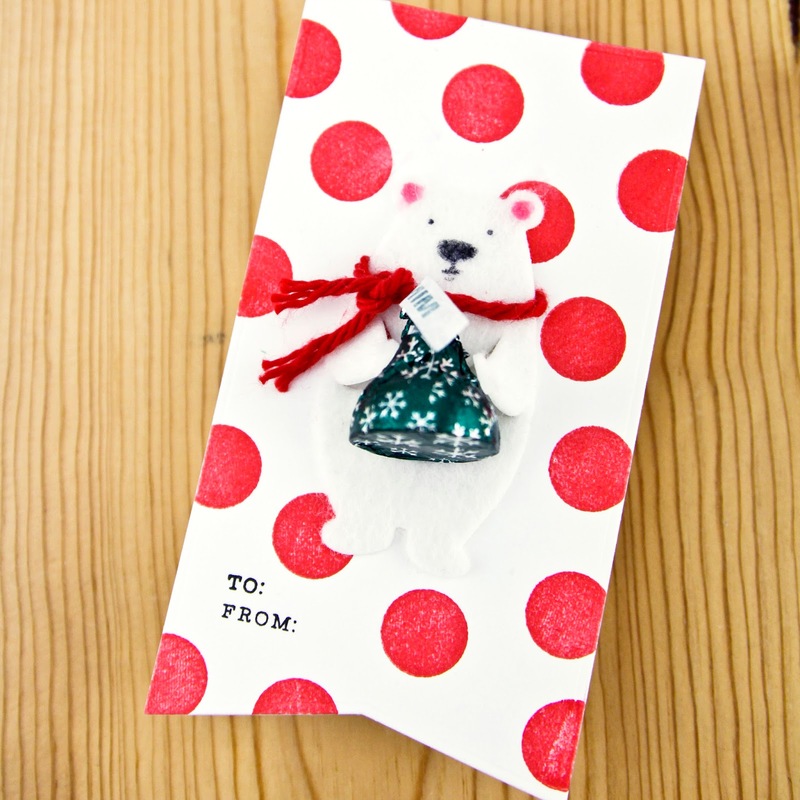 Add a little yarn scarf to the bear and adhere to the tag. Finally use a glue dot to attach candy. This guy is the cutest thing ever! Love him! OH so cute!! Love this little bear and holding candy?? Even better!